We welcome players of all ages and abilities to the club. We offer many coaching, social and competitive opportunities for adults throughout the week, including rusty rackets, ladies sessions, team training and club nights. Individual and group coaching sessions can also be arranged. Wednesdays at 7pm-8pm (mixed ability). The cost is £4 per person for members or £8 for non-members. No need to book in advance, pay and play. All we ask is on your first lesson please fill in the register with your name, contact details and medical/allergies, and then each lesson sign in and pay at the start of each lesson. An hour and half of coaching for just£12.00. The ladies practice is pay and play on the day, but we do ask for you to show your attendance by booking on for each individual week through our coaching page. Cardio Tennis is for everyone, it is an engaging group fitness program featuring the heart pumping effects of tennis drills, games, and skills delivering the ultimate full body and calorie burning aerobic and anaerobic workout. We regularily run 6x week courses for £42.00. Please get in contact to find out when our next course is. £25.00 per hour lesson. If you had a friend that you wanted to come with, couple’s lesson for £35.00 for 2 players. If you would like to book an individual, simply contact Bianca Pallatt, some convenient days and times and we can work out when would work for yourself and the coach. 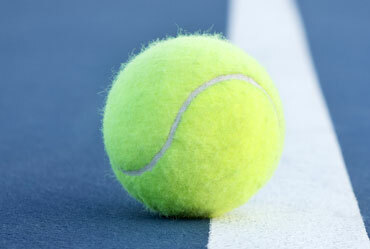 For more session times and social tennis times see our 'Club Sessions' page.